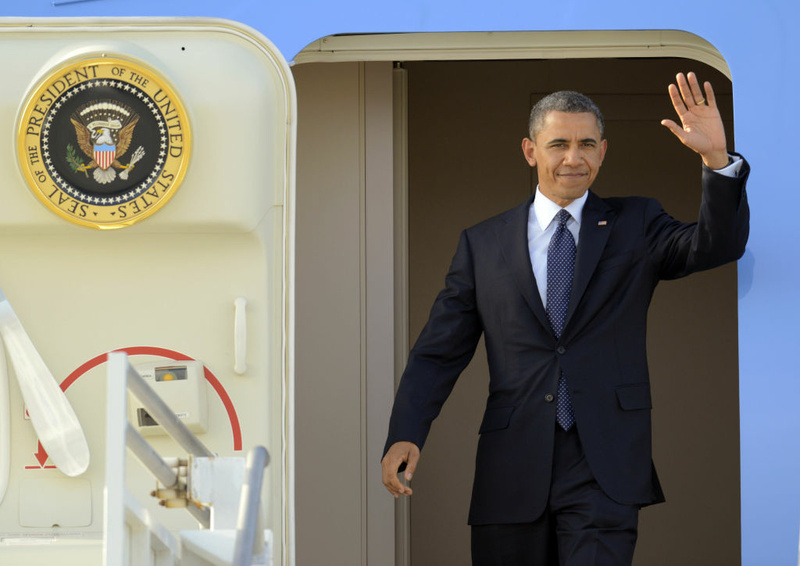 President Barack Obama waves as he arrives at LAX, Thursday, May 10, 2012. Obama left Los Angeles Thursday after a series of campaign fundraisers. For breaking temporary no-fly zones in restricted areas, NORAD dispacted F-16 fighter jets to intercept three general aviation aircraft this week during President Barack Obama's short fundraising trip to Los Angeles. On Thursday morning, two F-16 fighters, under the direction of the North American Aerospace Defense Command, intercepted a single engine Cessna 206 around 9:00 am, and a single engine Cherokee PA 28 at approximately 9:30 am PDT. On Wednesday, an F-16 fighter jet intercepted a Cessna 117 northwest of Los Angeles around 4:50 p.m. forcing the plane to land at Camarillo. The FAA is investigating the incidents, said Federal Aviation Administration spokesman Allen Kenitzer in an email statement to the Associated Press. A Cessna 182 that picked the wrong week to smuggle drugs into L.A. and was escorted down by fighter jets after breaking the temporary no-fly zone in February. An interloping Piper 28 intercepted by F-16s while Obama was leaving LAX on Air Force One in May.